Nature's Secret Ultimate Cleanse is a two-step formula. Step one is a blend of herbs designed to facilitate the release of toxins from the cells. Step two is a high-fiber treatment and more herbs that increase toxin elimination from the body by increasing bowel function. 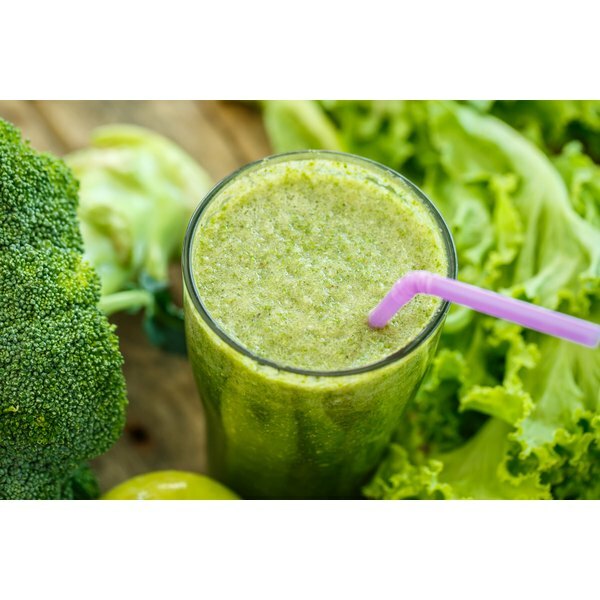 Nature's Secret Ultimate Cleanse is considered safe for occasional use but, as with all health products, there are some potential side effects. Cascara is the main ingredient that encourages bowel elimination in Nature's Secret Ultimate Cleanse. It can cause nausea, abdominal cramps, pigmentation changes to the colon, rebound constipation, dangerously low potassium levels, calcium deficiency, impaired glucose metabolism and discolored urine. Fennel extract has been shown to occasionally contribute to or worsen congestive heart failure. Fennel may also cause seizures, rash or severe vomiting in some individuals. Horsetail can cause heartbeat irregularities, muscle weakness, fever and decreased circulation to the hands and feet. Supplementation with licorice root can worsen high blood pressure and alter sodium and potassium metabolism and excretion, which can cause irregular heartbeats, nausea, sudden weakness or confusion, edema and breathing difficulties. On rare occasions, women taking black cohosh have developed sudden liver complications, including liver failure. Watch for jaundice, sudden abdominal pain or darkening of the urine, and report any symptoms immediately. Other ingredients listed by the manufacturer for Nature's Secret Ultimate Cleanse include calcium, kelp, alfalfa, fenugreek, ginger, dandelion root, yarrow, eleuthero, green tea extract, marshmallow, slippery elm, red clover, eleuthero extract, club moss, acacia gum, glucomannan, karaya gum, burdock, chick weed, Irish moss, chlorella, guar gum, lactobacillus acidophilus, mint and various fiber sources. Most of these ingredients produce mild gastrointestinal side effects, including diarrhea, vomiting and cramping. The additive effects of these herbs may also produce unexpected side effects. Consult your physician immediately if you develop any unusual effects. Dangerous imbalances in fluids and electrolytes may occur during the use of Nature's Secret Ultimate Cleanse, especially if vomiting or diarrhea are present. Discontinue use if you develop diarrhea or vomiting, and seek immediate medical assistance if you develop unusual swelling, dizziness, difficulty breathing, confusion or chest palpitations. Do not use Nature's Secret Ultimate Cleanse if you are pregnant. Consult your physician before using Nature's Secret Ultimate Cleanse if you have any heart, neurological, liver, kidney or other chronic health condition. Only your health professional can accurately gauge any potential health interactions with underlying conditions or medications, seek advice if you have any concerns about using this product.